Make Your Reservations for Arts Alive 2019! 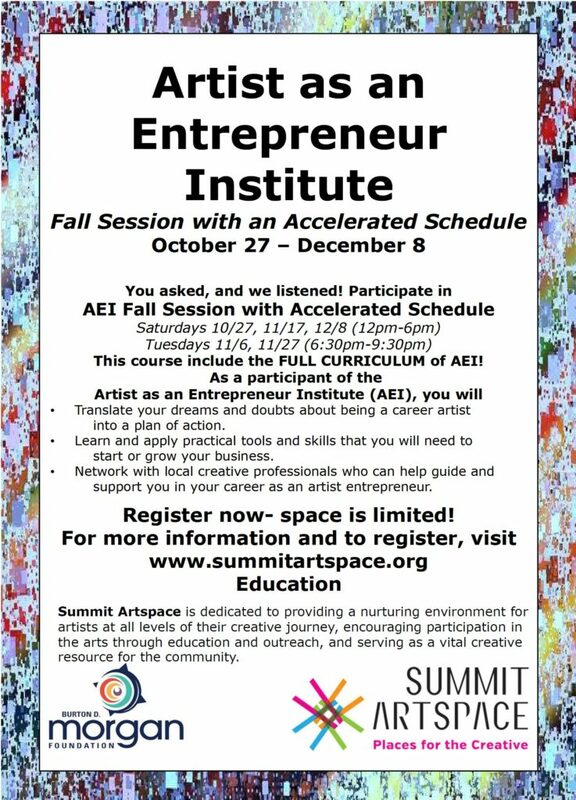 Summit Artspace, in partnership with the Community Partnership for Arts and Culture, is once again presenting the popular education seminar Artist as Entrepreneur Institute (AEI). AEI is open to individuals who are interested in or are already becoming entrepreneurs in the creative arts, including but not limited to visual art, music, theater, dance, and writing. Participants receive foundational business knowledge and hands-on training as part of the curriculum. Individuals will also have the opportunity to meet with and learn from successful creative entrepreneurs in Akron and the surrounding area. In addition to the class curriculum, participants will enjoy the benefits of a supportive peer group and the exchange of unique perspectives on artists’ entrepreneurship. The cost is $125 for the 16-week session, and includes all materials and off-site events. For questions, contact Carolyn Bagley at carolyn@summitartspace.org. 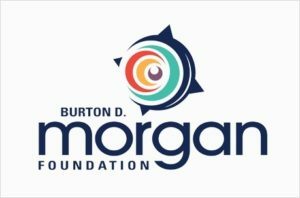 AEI is presented through the support of the Burton D. Morgan Foundation. Summit Artspace, in partnership with the Community Partnership for Arts and Culture, is once again presenting the popular Artist as Entrepreneur Institute (AEI). 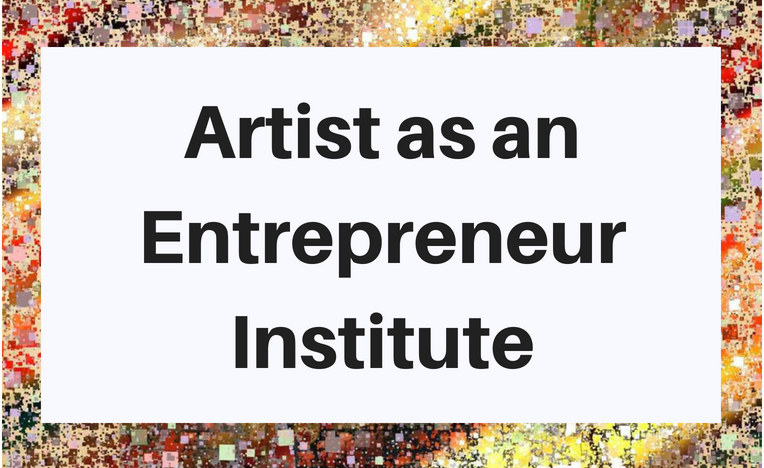 AEI is open to individuals who are interested in or are already becoming entrepreneurs in the creative arts, including but not limited to visual art, music, theater, dance, and writing. Classes for 2018 have started. To be notified of future dates, please email carolyn@summitartspace.org.